A lot has happened with Dutch band Delain since they unleashed their second album April Rain on the masses in 2009. An extensive headliner tour of Europe was followed by euphorically received tours of North and South America. The live impressions and pure energy that all this activity brought the band is now clearly audible in the material featured on their new material, the band’s third. Delain took the time they needed to make We Are The Others, by far the most powerful, atmospheric and irresistible album of their career! 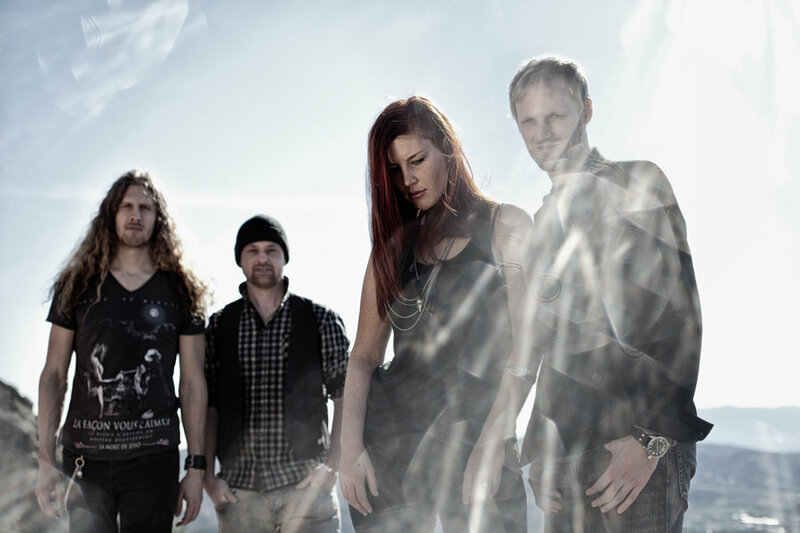 With their 2009 album, Delain had actually already arrived at a position that other bands work for years or even decades to get to. They firmly established a foothold at the very top of their genre alongside contemporaries like Evanescence and HIM. Now this Dutch formation is an indispensable part of the ever-growing, evermore exciting mainstream market for popular rock music of a darker nature. 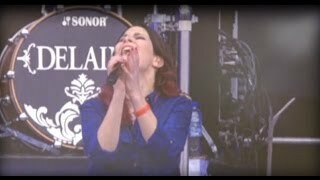 Against this backdrop, the expectations for the follow-up album to the frenetically acclaimed April Rain were very high indeed, both from the Delain fan base and from the band themselves. With We Are The Others, Delain have not only met these high expectations; they have far exceeded them. And they’ve made it all look easy in the process, broadening out of a niche market and audibly developing musically while remaining true to the successful sound that they lovingly developed over the years. While Martijn has been primarily responsible for songwriting duties, with Charlotte in increasing matter over the last two albums, for We Are The Others they relied more heavily than ever on team effort together with their musical partner Guus Eikens, also involving arranger Oliver Phillips in the composing department, stretching their experimental wings to try new things and ultimately came up with a more multifaceted overall sound than ever before. Martijn Westerholt, a workaholic himself, agrees entirely. “Our drummer was sent for two weeks of drum rehearsals to the Backyard Babies rehearsal studio located nearby. Jacob pushed every one of us to our absolute limit and in many cases beyond! He really knew how to get the maximum out of us individually, out of Delain as a band and of course out of our songs! You can find more on the recording sessions in the band’s video studio at http://delain.posterous.com/. While the title We Are The Others may seem mysterious and conspiratorial at first, there is a very serious background: The lyrics to the title-track were inspired by the hate-crime against a British girl named Sophie Lancaster in 2007. She and her boyfriend were beaten comatose by a gang of youths, because of their goth looks. Sophie died from her injuries (check also: http://sophielancasterfoundation.com/). This tragedy sent shock waves throughout the world. DELAIN’s response to this tragic case is expressed through the song We Are The Others. Charlotte says: “Sophie’s story hit close to home for us, being part of a subculture ourselves but it’s in no way an individual case; people are discriminated against -all the time- to the point of violence - based on their cultural or ethnic background everywhere. We Are The Others is our own ‘outsiders anthem’ for everybody who, deliberately or not, diverts from the norm. Whether it’s by looking different, acting different, or choosing a different path in life then is expected from you. One of the album’s less typical moments for a band of this genre is “Generation Me”, where Delain demonstrate their eagerness to experiment as well as their topicality. “It’s about the so-called ‘iGeneration’ where everyone’s putting self-branding and this utopian kind of self-representation in front of everything else, we ourselves -whether we like it or not - are very much part of this generation, and in this song we make fun a little out of everyone taking themselves so seriously. With this kind of subject matter it’s easy for us to be inspired. My lyrics have always been influenced by real life, from what happens around me” lyricist Wessels explains. This is also evident in Delain’s powerful number “Where Is The Blood”, with none other than Fear Factory shouter Burton C. Bell on guest vocals.